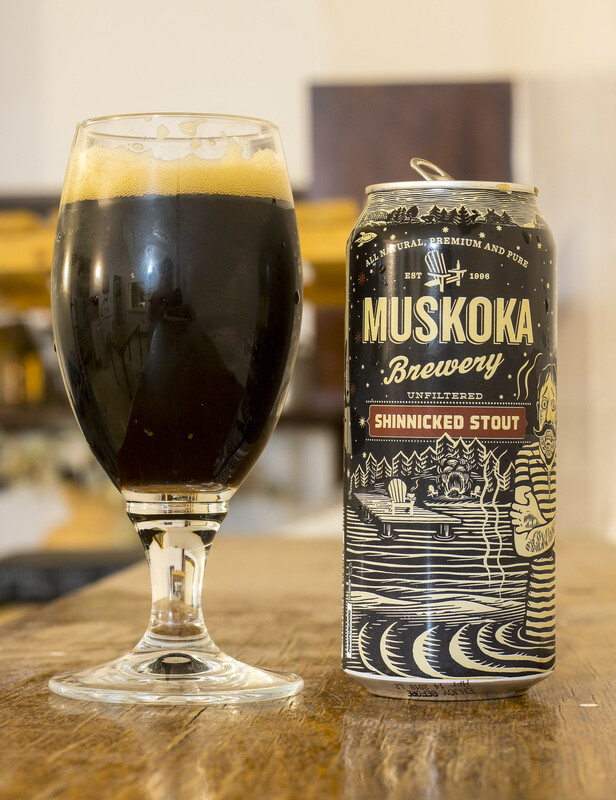 Shinnicked Stout has been available in Manitoba for a few months now, but it's at the point that it's now in clearance mode making way for their salted caramel truffle ice cream themed beer I tried last week. Shinnicked tops out at 5.2% ABV, and is described as velvety smooth with higher carbonation for a lighter mouthfeel. Dark roasted chocolate flavours complement strong coffee notes, present from roasted coffee additions. Appearance: The beer pours a near pitch black with a hint of cola-brown hue. When pouring the beer, the head starts up with a liberal light yellow head on top, but gradually diminishes to just a hint of film on the top of the beer. Aroma: Notes of raisin, dark chocolate, coffee, and freshly roasted dark pepper to give it a bit of a spice profile to it. As the beer warms up, the pepper combines with the roasted coffee aromas to give it a moderate rich roasty and slightly spiced presence to it. Taste: Rich dark stout with a moderate amount of dark chocolate, a very light hint of coffee roastiness, light notes of caramel and a very smooth creamy finish for the mouth feel at the end. There's some bitterness at the end, but it's worth it.. for me, this is the end of winter stout for me. 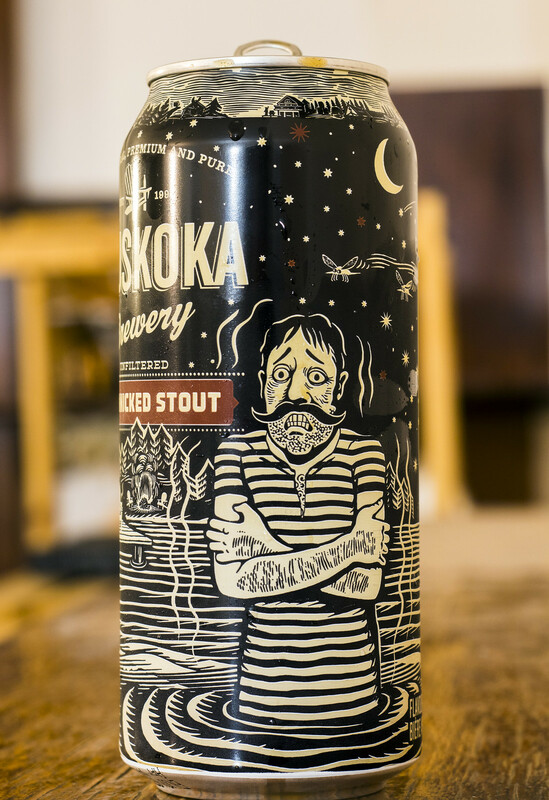 It has a rich roasted malt presence that gives off coffee, some sweet caramel/raisiny notes, and just has that wintery "dressed up in a skidoo suit" vibe to it.. with a nice smooth aftertaste. Overall Thoughts: Mildly roasty, good amount of caramel and raisin. Easy to drink for a stout (according only yours truly), it's a great beer to sample when the weather is transitioning from -15 to +15 in such a short period of time. Welcome, Spring!